LiveArts is partnering with the Autism Theatre Project to offer a free, sensory-friendly performance of Peter and the Starcatcher. Sensory-friendly performances aim to provide a positive theater experience for children with autism or other sensory-related disabilities and their families. While the performance will be performed as written, special accommodations will account for potential sensory challenges such as jarring sounds or lights. A quiet area will be available during the show for anyone who needs to take a break. Specially trained volunteers will be present to support you and your family’s experience. A “Coming to the Theater” video will be provided to help families prepare for this outing to the theater. Please visit the LiveArts website for other regular performances of Peter and the Starcatcher. Resources such as a character guide, plot synopsis, and FAQs are provided below to help you decide if this is the right show for you and your family to attend. The full list of services is provided below in the FAQs. Children must attend the sensory-friendly performance with a parent or responsible adult. After the show, families will be invited to complete a brief survey to help us improve our understanding of sensory-friendly theatre. Q: Is this performance only for those with autism or other sensory issues, or can anyone attend? A: Sensory-friendly performances are intended primarily for families with members on the autism spectrum or who have other sensory issues. 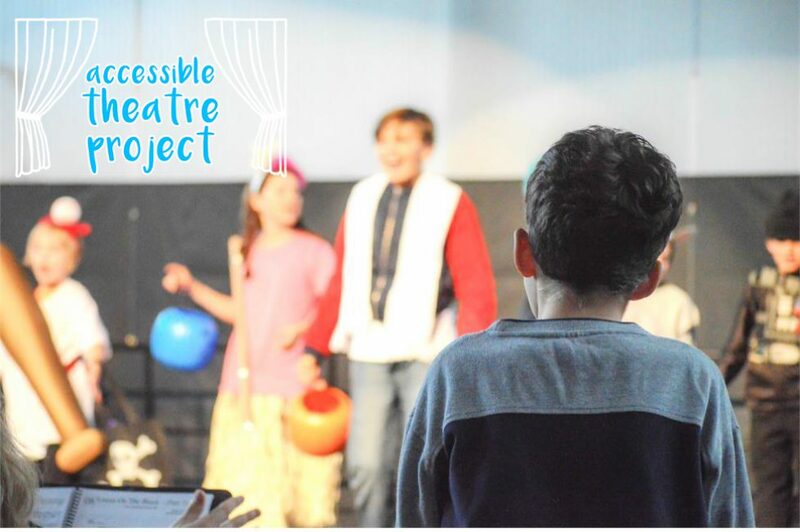 In addition to altering the theater environment to cater to those with sensory issues, a main goal of this program is to provide a safe, judgement-free, and comfortable experience for the entire audience. We achieve this by recommending this performance for those families bringing loved ones who have a developmental disability. Q: What accommodations will there be? How is it different from other performances? A quiet area will be provided for those audience members who may want to remove an overstimulated person from the theater and have a place to relax. Chairs and tables will be provided, as well as a variety of coloring activities and fidgets. This area will be staffed by our volunteers. Resources such as a plot synopsis, character guide, and “Coming to the Theater” video social story can help families prepare for this outing to the theater. A: Our volunteers are undergraduate and graduate students from the University of Virginia with experience working with children with sensory challenges. Most are involved in UVA’s Autism Speaks chapter or NSSHLA chapter (National Student Speech Language Hearing Association). All volunteers are trained by Dr. Jane Hilton, Assistant Professor of Speech Language Pathology and the Director of Clinical Services in the UVA Speech-Language-Hearing Center. Q: Will the show on stage be any different from other performances that are not sensory-friendly? A: The Firebird will have no altered content for this performance – please refer to the plot synopsis to determine the appropriateness for your audience member. Sensory effects will also be slightly altered. Q: Will it be noisy during the show? A: It’s very possible – expect there to be more than the usual ambient sounds from the audience. Q: How can I prepare my audience member for this outing to the theater? A: Resources such as a plot synopsis, character guide, and “Coming to the Theater” video social story can help families prepare for this outing to the theater. Q: My attendee uses a wheelchair. What is the best access to the theater? A: Our theater is located at LiveArts in Downtown Charlottesville, VA. There is onsite parking with handicapped spaces available, and handicap access to the theater. Q: Are snacks and drinks allowed in the theater? A: Yes, food and drink is allowed inside the building. Q: Can my family attend one of the other Peter and the Starcatcher performances? A: Yes! We provide a sensory-friendly performance in hopes of creating a comfortable theater-going environment for families with sensory needs. Our ultimate goal is to make theater a more inclusive space. Please attend whichever performance is most convenient and comfortable for you and your family, but also note that the content of the other shows will be slightly more mature and will be performed as written in the original score. Click here for performance times and ticket information. Q: I have a question not addressed here. Who may I speak with to get more information? A: Email us at autismtheatreproject@gmail.com.